Zillow Premier Agent is a lead generation software designed to connect real estate agents with leads and potential clients. Its features include advertising, lead pipeline management, team management, integrated client management, and more. We compiled Zillow Premier Agent user reviews from around the web and determined that it has generally positive ratings. We also shared its available pricing options. Users who gave Zillow Premier Agent a positive review said that the program enables them to track and find leads more efficiently. Some of them also shared that the Concierge feature is always prompt in responding to inquiries and messages. Users who gave Zillow Premier Agent a negative review said that they find the software expensive. Some of them also complained about the email feature being too basic and wished to see more system customizations. A user who left a positive review of Zillow Premier Agent on G2 Crowd said that he finds it easy to set up and use. He also commended the intuitive interface both in mobile and desktop. According to him, the app consistently sends a notification whenever there’s a new lead, which lets him manage his prospects more efficiently. A user who left a negative review of Zillow Premier Agent on G2 Crowd said that the number of leads generated by the system vis-a-vis the subscription amount are not at par with each other, saying that it didn’t meet his expectations. He also mentioned that it is difficult to filter leads from the system, which makes the job time-consuming. Zillow Premier Agent does not publish its pricing on its website, but apps similar to it ranges from $79 to $99 per month, depending on the features included. Interested users can create an agent profile for free or contact Zillow Premier Agent’s sales team directly to inquire about customized subscription plans. Check out the list below of some of Zillow Premier Agent’s features. The Best Real Estate Software: Our Picks for 2018 — We put together this guide of the 29 best real estate software tools and apps on the market today to help you have a holistic approach on managing your real estate business. How Realtors Use Contactually to Close More Deals — In this tutorial, we provided step-by-step instructions on how to use your free trial of Contactually to quickly and easily set up a killer relationship marketing plan to help you get more referrals and close more deals. 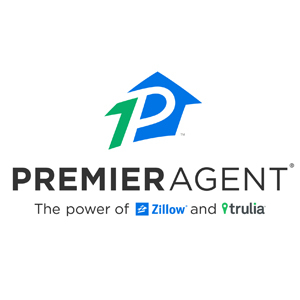 Does Zillow Premier Agent offer a free trial? No, but instead of a free trial, users can simply create a free agent profile and start using the program immediately. How can agents reach out to their prospects using Zillow Premier Agent? Users can respond to leads anytime and anywhere with the Zillow Premier Agent App. Instant lead alerts are also sent to them so they can touch base with new connections immediately via email, SMS, or phone. Can Zillow Premier Agent help users keep track of their lead pipeline? Yes. The software enables users to categorize their leads and add notes based on the interactions they have had. They can also easily filter leads by status to prioritize people that they want to closely monitor and follow-up with. This video provides a walkthrough on how to integrate leads from third-party sources to the Zillow Premier Agent system. Still not sure if Zillow Premier Agent is the right fit for you? Read our reviews of all top real estate CRM software providers.